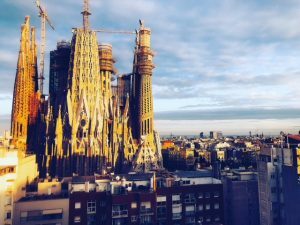 We recently caught up with SAI Ambassador Sabrina, who answers some short follow-up questions from her time in Barcelona. My favorite class abroad was the Political Economy of European Integration. I liked this class because it gave me a whole new perspective on the history of how the EU became the EU and I feel like it gave me a new perspective on the political system of the EU. Having grown up learning mostly about the U.S. system of government, it was interesting to learn about the EU and get the background on it. 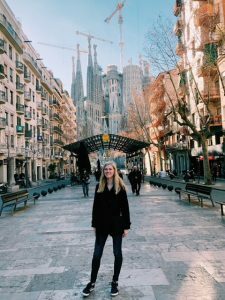 I learned how to be more independent and was more confident about traveling and getting around Barcelona than I expected to be within the first month. 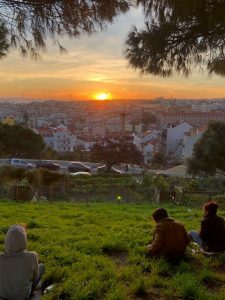 I think since being abroad I am way more independent with having those experiences abroad that made me more confident in myself. 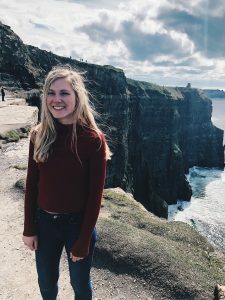 Sabrina was a spring 2018 SAI Barcelona student from the University of Alabama.